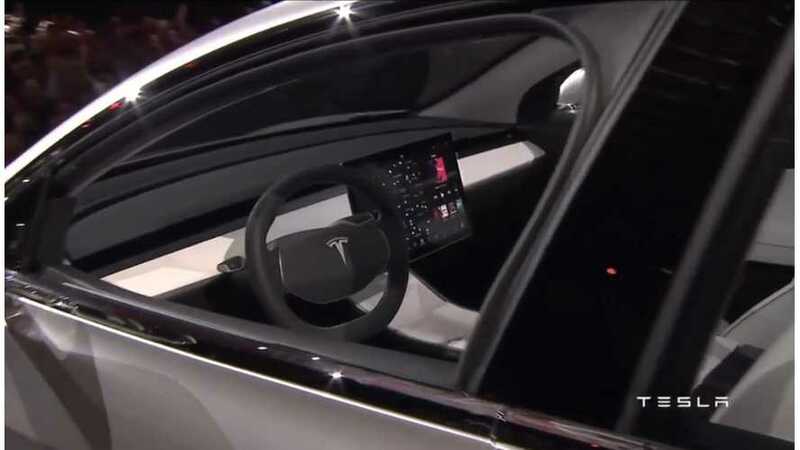 The Verge recently inquire about the lack of an instrument panel in the upcoming Tesla Model 3. There is 15-inch touchscreen in the middle dash, but just a plain board without display or buttons. The first question is, whether it is ready yet, or if its concept is close to production locked in? Some Tesla staffers apparently said that "the dash is essentially production-ready". If you are unable to check the range or speed of your car on the instrument cluster behind the steering wheel, maybe the reason is that you don't need to - because Model 3 will be self-driving? That seems a bit silly, but that's what the Verge speculates anyway. Full Autopilot will be an option, but we have large doubts about full self-driving capability in late 2017 (it won't be); the non-Autopilot Model 3 would still need to share some basic information, in a prominent way anyway. The other (and more logical) reason for the instrument cluster's absence could be cost-savings. "The obvious explanation is that Tesla had to cut corners to bring the Model 3's base price down to the promised $35,000, and I do think there's probably an element of that. But a $35,000 car is still not a cheap car, and if you look across the auto industry at $35,000 vehicles, you'll see a lot of attractive interiors. Another plausible explanation is that the interior simply isn't done. That is true: there will be more to this car by the time it's released a year and a half from now, but I was told by a Tesla staffer at last night's event that the dash is essentially production-ready in its current state. In other words, the details may change, but the overall concept isn't likely to change much; I would be shocked if a traditional instrument cluster magically sprouted between now and late 2017. The remaining explanation, I believe, is the biggest one: the Model 3 is a self-driving car." 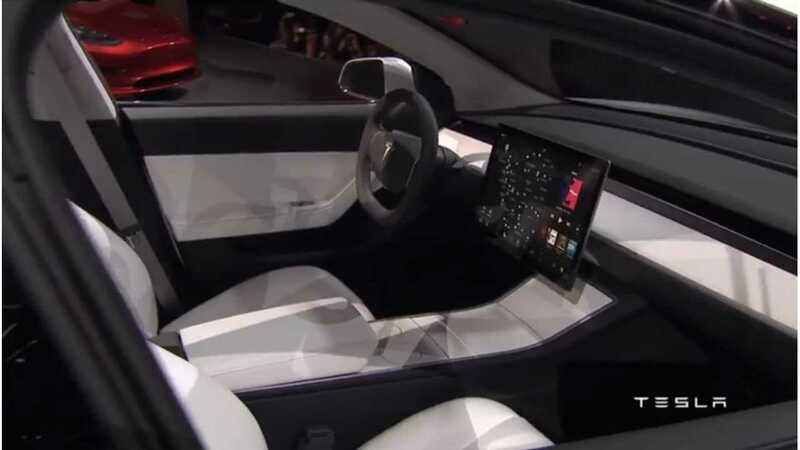 Our bet would be that Tesla is holding an ace, and at some point will introduce a virtual instrument panel displayed on the glass. It would be Tesla style innovation.